M. Night Shyamalan is a polarizing figure. His journey as a director has taken crazier turns than some of his movies. His first film, The Sixth Sense, was a hit, and created a bar that he’s had trouble reaching ever since. A lot of people forget about the movie he made right after The Sixth Sense because it didn’t leave much of an impact at the time. Unbreakable was a film that came out way ahead of its time. Audiences were confused by Shyamalan’s decision to make a superhero movie, but the movie landscape is much different now, when superhero movies are some of the biggest blockbusters every year. 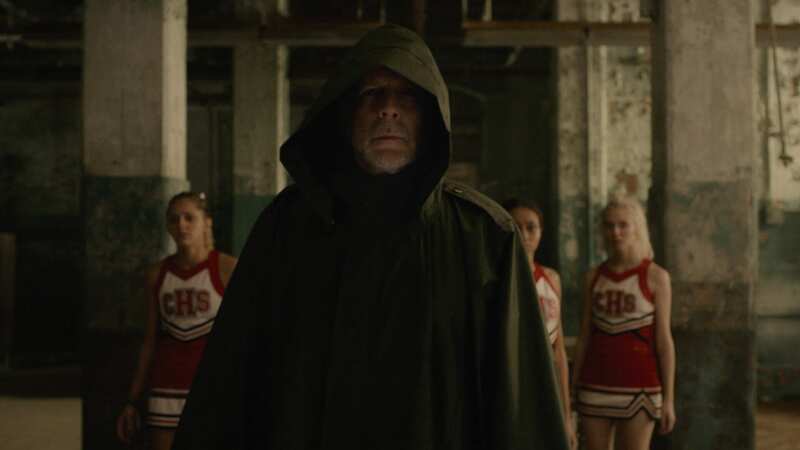 This is why Shyamalan took his opportunity in 2017 to revisit the world of Unbreakable with Split; the reception was much different this time around. Split was a success and a return to form for Shyamalan. Now, we have Glass, a sequel to Unbreakable 19 years in the making, with the potential to be something extraordinary. Glass follows the stories of Elijah Price, David Dunn, and Kevin Wendell Crumb. Following the events of Split, David has his eyes set on taking down the Horde. After a brief encounter, both men are detained and taken to a mental institution where Elijah is already being held so that a psychiatrist can try and convince all three of them that they do not have superpowers. Now the foundation is set for a confrontation between these extraordinary beings. I’ve always admired M. Night Shyamalan because, even in his cinematic failures, he brings a lot of great ideas to the table. He’s a director that never loses his voice, and is always trying to find ways to defy the norm. At its core, this trilogy is the embodiment of everything Shyamalan stands for as a filmmaker; his failures have come when he’s been unable to rein in these grand ideas. This is why movies like The Visit and Split felt like a return to form. Those two films are small in scope and eliminate any possibility of Shyamalan’s creative mind getting in the way of his success. 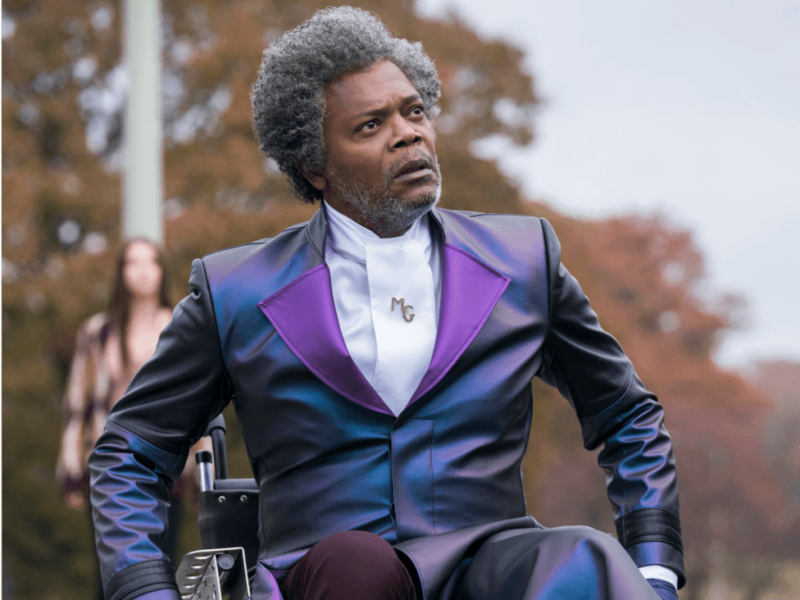 Glass is a unique movie in his filmography because this is clearly the crazy Shyamalan of old. The difference is that those grand ideas he explores make Glass a resounding success. I admired Shyamalan’s vision for Glass. He wanted to set up a battle between the superheros and supervillains he created without abandoning the tone of the previous films. This isn’t an all-out action movie; it’s a cerebral exploration of superheroes and the merit to their existence. A lot of the movie is spent with long-winded scenes of dialogue that challenge ideas that were previously introduced. Ellie Staple’s sole purpose is to convince everyone that they’re not super at all. She does an excellent job of putting doubt in their minds and forcing them to reevaluate every action they’ve taken. This all helps build toward a final set piece that will go a long way in defining this trilogy as a whole. This vision is far off from what many people expected this movie to be. This is not a true Unbreakable sequel, and only shows glimpses of being a faithful sequel to Split. Glass has an identity that falls closer in line with the ideology of Mr. Glass himself. Even though Mr. Glass doesn’t really enter the movie until about halfway through, everything about the way this story plays out is influenced by him. The end of Glass is going to split the crowd. Shyamalan is known for his “twist” endings, and they’ve had varying degrees of success thus far. This twist is easily the riskiest of any movie he’s ever done. Luckily, it ‘s brilliant. The way he uses these characters to tell a story of something much bigger than themselves is genuinely beautiful. This is a bold direction in which to take the movie, and I ended up crying by the time the ending credits hit. Glass being a Blumhouse movie means that there were significant budget constraints. Adding two high-profile actors like Bruce Willis and Samuel L. Jackson to go along with James McAvoy and Anya Taylor-Joy is great on paper, but it’s also expensive. This actually works to the film’s advantage, though. 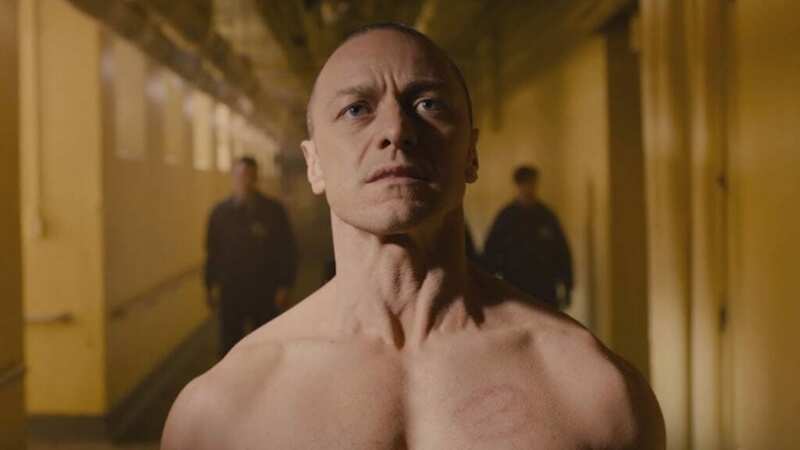 Glass was never going to treat its action scenes as a spectacle; this is a grounded reality, and the way the film is shot does its best to maintain that feeling. There are only two fights in Glass, and they serve different purposes. The first fight, near the beginning, uses unorthodox camera angles to capture its visceral nature. The fight near the end of the film pushes this grounded reality to its limit, showing the Beast is capable of, without it ever going too far. The cinematography here is absolutely gorgeous. Mike Gioulaukus returns from Split as the cinematographer and captures some amazing visuals. Shyamalan loves to play with colors, and Glass is no exception. He color coordinates people who are directly associated with each other. Elijah and his mother wear purple, Kevin and Casey wear Yellow, and David and his son Joseph wear Green. It’s a small detail that helps the consistency of the color palette. The only problem I have with the shot composition is that there are so many POV shots, they add a sense of intimacy to the dialogue, but the shots become repetitive after a while. The acting has some astounding highs and disappointing lows. James McAvoy gets most of the screen time, and he is magnificent. His ability to change between personalities without the camera cutting is fantastic. He’s able to play 20 different personas effortlessly. Samuel L. Jackson is also great. He has this unique charisma that makes it hard to take your eyes off of him. Whenever he’s delivering his villainous monologues, I’m instantly gripped. Bruce Willis does okay with the material he’s given. He doesn’t have many lines and tells most of his story through his facial expressions. Anya Taylor-Joy does great in her supporting role. Her relationship with Kevin is well realized by her sincere portrayal. Sarah Paulson as Ellie Staple is completely flat. This isn’t the best character with whom to display much acting range. Her monotonous tone can become a chore to listen to after a while. Spence Treat Clark reprises his role as Joseph Dunn; he’s passable in some scenes and not good at all in others. The script is also a mixed bag. The writing is at its best when Mr. Glass is talking. His monologues and his ability to break down the mechanics of a comic book are when the movie is the most compelling. The problems with the script are similar problems we’ve seen in other Shyamalan films. The dialogue can be a bit lackluster at times, with characters saying certain words that people wouldn’t say in normal conversation. There’s also a ton of exposition; Ellie’s character is almost always spewing exposition, as if Shyamalan didn’t trust that his audience would fully understand his vision. I found the content interesting; I just wish Shyamalan found a better way to get his points across. I loved Glass. Despite its technical stumbles, it delivers a passionate conclusion to the most unique superhero trilogy ever. Shyamalan was able to conclude a story about characters he wrote almost two decades ago. He asks a lot of questions in this film and comes to satisfying and sometimes inspirational conclusions. If you take out the twist, this movie holds up as a solid finale. When you add the twist, Glass is elevated to something that means a lot more than just these great characters. As the titular character, Elijah Price proves why he’s one of the compelling antagonists ever created. Glass is a well-deserved victory lap, and proves that Shyamalan isn’t going anywhere. Glass is a thrilling conclusion to M. Night Shyamalan's superhero trilogy. Everything in the film is used to build up to a narrative conclusion that is both ambitious and brilliant. Technical stumbles hold Glass back from being a genre defining milestone, but never do enough to derail the entire movie.